founded by david serero and elena fernandez, iterae, formerly known as degre zero new york, is a mobile network agent focusing on research and design in a wide array of fields ranging from architecture to landscape and from urbanism to product design. with a wide interest in generative design, digital manufacturing, fluid dynamics, crystallography, acoustics, genetics and topographical manipulation, their work by weaving new connections between these fields and architectural practice has unceasesly explored new paths for architecture and design. 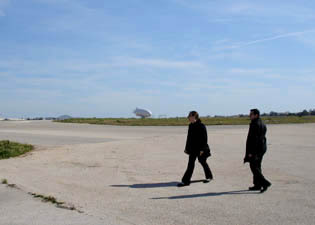 in 2004, in collaboration with landscape architect philippe coignet (olm) and artist erwin redl, they won the first prize in the international competition for the reconversion of the 530 hectares site of the former international airport of athens into what might become the largest metropolitan park in europe.